I saw this charming/B&W/nearly silent film the night after the Oscars w/ my friend Anita. We wanted to see what all the fuss was about! It was a cute, fun, and optimistic (RARE for movies these days). 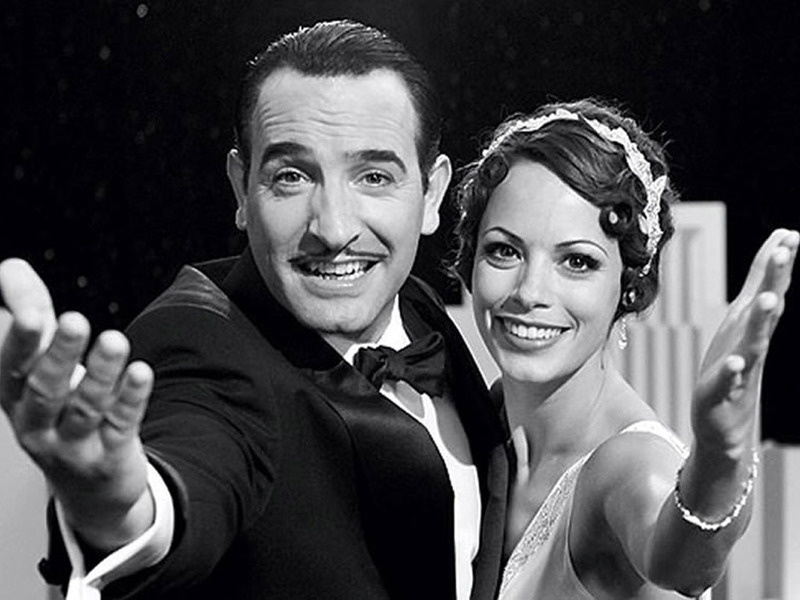 The two French leads (Oscar winner Jean Dujardin & Bernice Bejo) had a LOT of chemistry w/ each other. Dujardin has ALL the qualities of a leading man. Even the little dog hit the right notes! There are also American actors in supporting roles, including John Goodman. 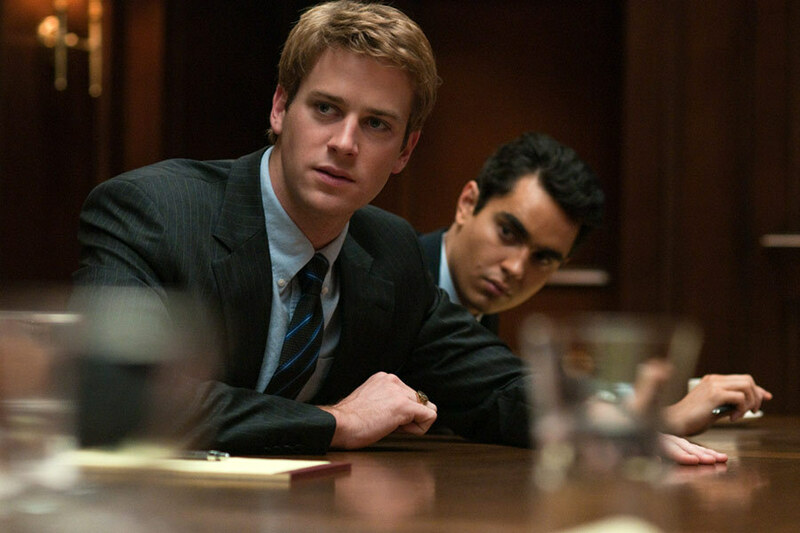 Though this film’s main character is Facebook founder Mark Zuckerburg (Jesse Eisenberg, who I first saw in Roger Dodger), the actor w/ the meatiest role is young Brit Andrew Garfield, who plays Mark’s best friend Eduardo Saverin. The audience’s sympathies lie w/ Eduardo, who was the first one to believe in (and fund) Mark’s idea. Eventually, the two pals face-off in a lawsuit, when Eduardo’s shares in the company are reduced to almost nothing. Sad to say, but there isn’t much for the ladies in this film to do. Nor are they very well-developed, aside from young Rooney Mara, who has a small/pivotal role as Mark’s ex-gf. (I don’t want to discuss Brenda Song, so we’ll skip that.) Rashida Jones played a sympathetic lawyer, but her role was quite small. My mom liked this movie more than Jane Eyre, perhaps b/c of its positive/uplifting viewpoint of a courtship. 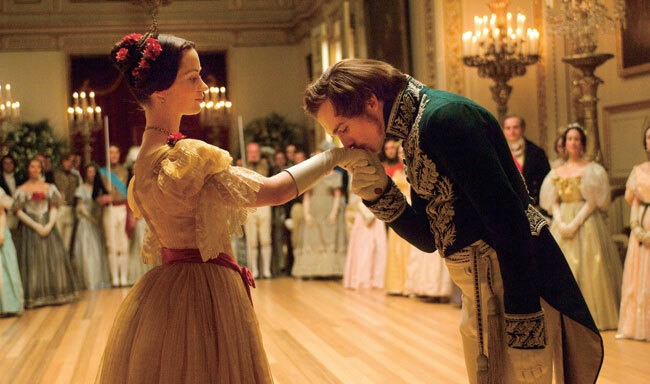 We know that England’s Queen Victoria (EmilyBlunt) and her husband, German prince Alfred (Rupert Friend) were a match made by their elders, BUT grew to love each other deeply. In Mrs. Brown, the elderly Victoria (Judy Dench) is coming out of a LONG mourning. Thanks Gary! In the finale of 2011’s “Law & Order: Criminal Intent,” they have a case V similar to the Facebook controversy. Three Quick Reviews” it was a good read. I’m a real movie buff!